Tijeras is known for its hard water. 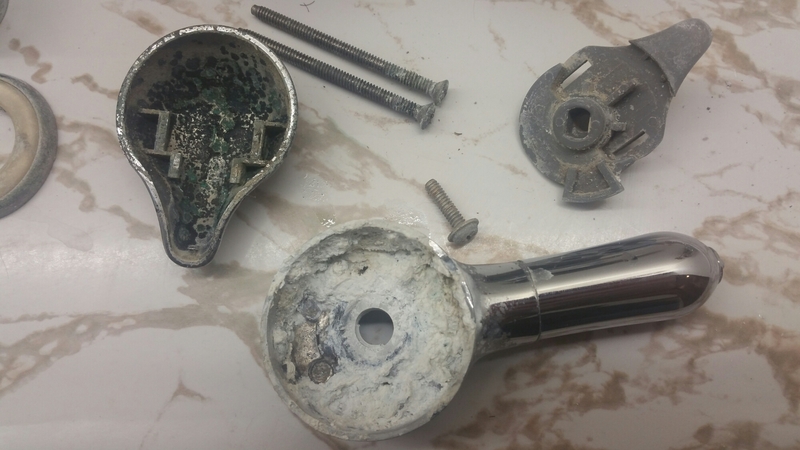 This is the remnants of the shower handle. It broke yesterday. Looks like I will need to go through and replace all the faucets at some point.